Tweedledumart (2 days ago) Inappropriate? anonimo3400 (4 years ago) Inappropriate? love this model,this is one of the best models that i have seen keep that awsome work going.thanks! Pnumekin (6 years ago) Inappropriate? Really beautiful work, thank you very much. I am astounded by your skill, thank you for this. quasarmobile (6 years ago) Inappropriate? Amazing work! Thank you much! Thanks so much for your incredible kit! SeaCanyon referred me to you, and i am just thrilled she did! Fan for life! zekameka (9 years ago) Inappropriate? zrunelord (9 years ago) Inappropriate? Thanks for sharing your very good work. ww2warbird (9 years ago) Inappropriate? I love your models. They're excellent. Thank you very much. You do absolutely gorgeous work. Thanks for feeding my model habit. mrsparky (10 years ago) Inappropriate? Fran - Emmanuel Noiaillier in Military Modelling magazine Vol.38. No 1. (Jan 2008). TIP - If you click on the MORE link in the description you'll see the full details. FranOnTheEdge (10 years ago) Inappropriate? found this free french village on Content Paradise, what a great freebie, thank you. You mentioned a tutorial, can you tell me where that tutorial is available from? Sisimyn (11 years ago) Inappropriate? This is beyond good. I am very impressed and grateful. Thank you. 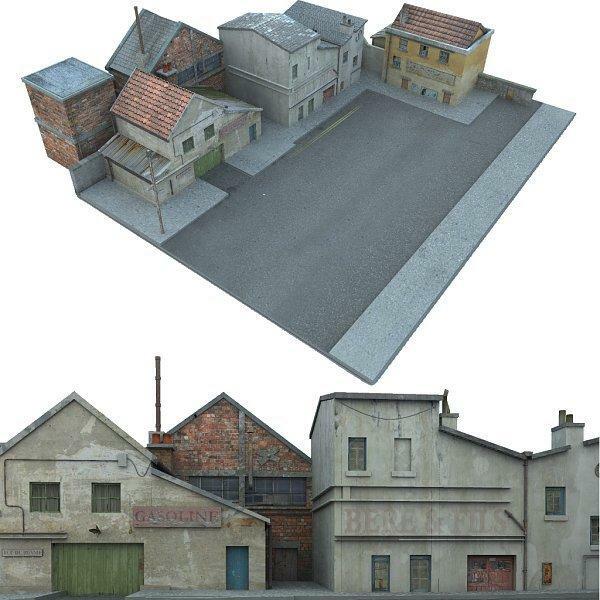 Thats what i call some great urban modeling, great texturing too !!! Very cool, thank you so much. finister (11 years ago) Inappropriate? Your work is amazing! Thank you so much for providing it free! genefleeman (11 years ago) Inappropriate? It is hard not to compare this type of item to those of ,say, stonemason.. I think these are every bit as good and the fact that it is free says tons about your integrity and generosity.. I will use these every bit as much as I do your Vorg series for Poser characters..
Nicola (11 years ago) Inappropriate? Fantastic! Thank you very much for this great freebie! YEOWZA! Very, very cool stuff, and great timing too - I really need to concentrate on locales in my runtime, not just clothes and characters. Thank you! Very fine! Thank you so much! Thanks for the generous share! This ist really looking great. Every house a prop of its own, easy to operate, much more than a background. Thanks for sharing! Looks awesome! Thank you very much for sharing this one! FrankT (11 years ago) Inappropriate?